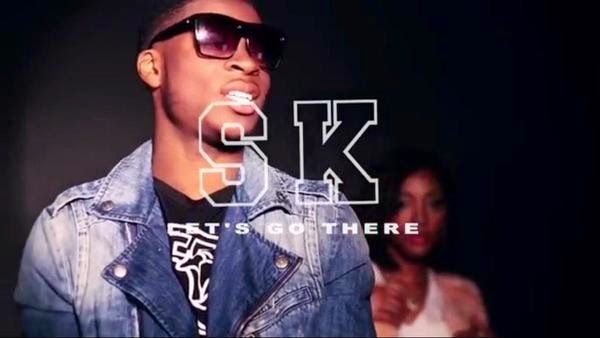 Last night emerging new talent SK premiered the official video to his debut single ‘Lets Go There’. The song which is nothing less than a banger saw its release in the summer, and has already racked up over 50,000 plays on his soundcloud in such a short space of time. SK, a student hailing from London released ‘Let's Go There’ back in June of this year, later following it up with a more upbeat dance record titled ‘Mujo’ two months after. The video to ‘Let's Go There’ follows in the footsteps of the song (produced by GA), with a nice laid back affect set in an apartment party, with friends and of course SK's love interest in the video, who he refers to as ‘Bolaji’. SK's who's already got a buzz within the UK Afrobeats scene is set to go above and beyond in the new year, and is one of the last few artists to enter my 2015 ‘One2Watch’ list. Directed by AfroWorldwide, press play on SK's ‘Let's Go There’ visuals below. The video is presented to us by UK based record label Krystal City, no word on if SK inked a record or management deal with them, but it'll be interesting to see how they shape his career.